The market town of King's Lynn grew up on the banks of the River Great Ouse in the middle ages, when it was one of the most important ports in England. It still imports various cargoes including timber and cereals, and has a small fishing fleet which catches shellfish. 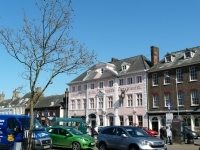 It is the largest town in West Norfolk, and serves as its commercial hub, having an excellent shopping centre and many businesses. Apart from its shopping potential, King's Lynn has a number of attractions to lure holidaymakers from the beaches and villages of the Norfolk coast. 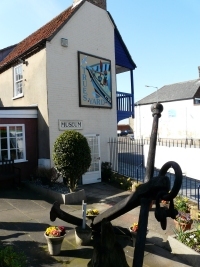 The museums are certainly worth a visit, with the Lynn Museum in Market Street sporting the Seahenge timber circle, Tales of the Old Gaol House in Saturday Market Place letting you experience the town’s old police cells and horrify you with stories of gruesome punishments of the past, and True’s Yard, which lets you walk around old fisherman’s cottages, a fishing boat, and displays about the town’s heritage, such as the Zeppelin raid of the First World War. Glass has been manufactured in the town since the 17th century, and you can visit Caithness Crystal a short drive from the town centre. The Tuesday Market Place is of historical interest. It is an elegant square containing the mansions of old merchant princes, as well as the Corn Exchange theatre. 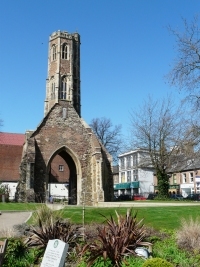 The Greyfriars Tower is located in Tower Gardens, St James Road. When the rest of the Franciscan monastery it was attached to was demolished (during the Dissolution of the Monasteries under Henry VIII), the tower was preserved, as it was a useful landmark for sailors entering the port. If you enter the town on the London Road, you will pass through the town’s South Gate, which dates from around 1440. Take a walk from the town centre down to the waterfront at South Quay to be rewarded by views of the former Custom House (now a tourist information centre) and old warehouses, including one converted into a discovery centre called Green Quay. For a fine view of the waterfront, go down the little alley known as Ferry Lane (off King Street), and cross the Great Ouse on the ferry. Looking back from the other bank you will be able to see the town’s skyline, part of the docks, the quayside and fishing fleet.